Toulouse outhalf Zach Holmes has been shown a straight red card just 22 minutes into their Champions Cup quarter final clash with Racing 92 in Paris. The Australian connected with a shoulder into the neck of winger Juan Imhoff who made an excellent break thanks to a lovely offload from Ireland’s Simon Zebo. 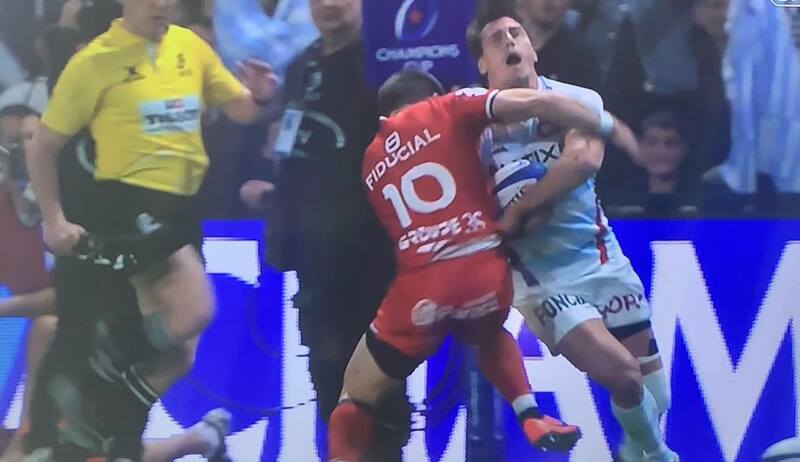 Referee Luke Pearce tried his best to give Holme the benefit of the doubt, but ultimately ruled that there was no mitigating factors as the hit started and ended high with Imhoff upright throughout. Was it the right decision? We reckon it was, as do match commentators Ben Kay and Brian O’Driscoll.